"It was a real pleasure working with Kelly MacInnis and Lynda Drake! They are so warm and friendly and extremely knowledgeable. We received a letter from our HOA informing us we need to paint the exterior of our home. I spoke with both women regarding this - they reviewed with me what our home color scheme requirements are, and they recommended Jake Williams @ Advanced Painting & Wood Repair. Jake came out to our home, we liked him and his proposal very much and have chosen him to do the job. Thank you very much to both ladies for all your help, great customer service!" We ask for feedback, listen to it, and then we initiate modifications because we believe Crummack Huseby evolves when we are open to the changes happening within your community, your homeowner's association, and within the community management industry. We’re accessible so our clients know they can count on our personalized attention. This inspires them to brag about us—and we’re proud of that too. "They're always available to offer advice and suggestions, they are forthcoming with information and will help you to get your architectural application approved the first time." "Crummack Huseby ranks at the top. Most of my interaction is with Brittany and Melissa and they are both very professional with the added bonus of a joy to work with. Now if only I could say that about all our homeowners. Margo and Sandy, the owners, should also be commended for creating an environment that allows their employees to excel." 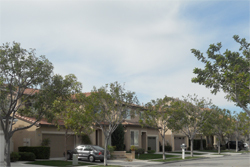 "We are relatively new clients of Crummack Huseby (moved in to the their Palisades community in Yorba Linda). My wife and I have been incredibly happy with the wonderful service we have received from Kayla McLemore. She has been extremely responsive to our initial questions and requests. We couldn't be more pleased with Kayla's commitment to providing wonderful service." "I have had numerous interactions with Jennifer Norton at Crummack Huseby regarding home repairs and she is fantastic. She is super friendly and extremely responsive. I was really dubious when our community switched management companies but I'm so glad they did." "Great Mgmt company to work with. We have seen consistent growth in their company and great care for the employees and accounts that they manage. For us, it has been a pleasure to work with this team that lives it's company values through the work that they do. Truly a passionate organization." 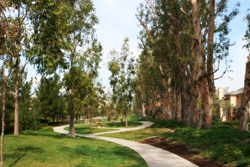 "My wife and I moved into The Courts at Baker Ranch in Lake Forest. We have been working with Kelly MacInnis from Crummack Huesby, she has been nothing but wonderful. She is super polite, very knowledgeable, very responsive and extremely helpful. I started to work with her regarding my backyard landscaping approvals and she was very helpful along the whole process and very patient with me. I can't thank her enough for all of her help and how awesome she is to get my backyard plans approved so my wife and I can have the backyard we envisioned." "Kelly MacInnis is very professional and a wonderful communicator. She addressed a matter previously unresolved within her organization and followed-up both by telephone and email. I anticipate quick approval with her help." "In the last few months, we've been working with Kelly MacInnis to get approvals for home improvement projects. She has been amazing. I know that we're in good hands, and that she will make sure we get the quickest response possible. 5 Stars for Kelly. She seems to be a perfect fit for her job - great communicator, organized, and happy to help. Thanks for everything!" "I can't say enough about Kathy Duninger. Very professional, very helpful and quick to respond. You make my job much easier. Thank you!" 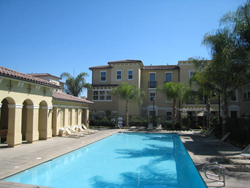 "Crummack Huseby is an amazing group of professional property managers in Orange County. Their knowledge and management skills are at the very top of HOA managing and representation. For over 8 + years of volunteering on a HOA Board of Directors, I had the absolute pleasure of having Crummack Huseby as our Community Managment company. They know how to work with a Board of Directors providing excellent guidance and Strength to board members as well as homeowners. I personally believe, any Home Owners Association that is searching for a strong dedicated Management Company should contact and interview Crummack Huseby Management Company. You would be in very good hands and find that you have made the right choice." I'm a contractor that works with CH and I must say everyone I come in contact with in every department is extremely professional, helpful and cheerful. Jamie and Sarah are truly amazing! They are first class all the way. Very quick in response time and their managed properties are meticulously taken care of. It's a pleasure working together with this wonderful company. 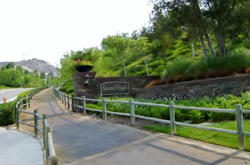 In my experience they have been very quick to respond which is unlike previous HOA firms we've had. In addition everyone there was helpful. Really nothing negative to say, all good things. I just wanted to take a moment to advise Crummack Huseby that they have a wonderful representative in Jennifer Norton. Our Shea home in the Brookland community in Baker Ranch has a beautiful courtyard in front of our home with a BBQ, large fireplace and permanent picnic table surrounded by roses and boxwood hedges. Unfortunately the roses and boxwood hedges had not been tended to (trimmed/cut back) for sometime. The lawn also was started to burn out. I mentioned this situation with Jennifer and she immediately went into action and got the new contractors to spent most of last Friday to correct the situation. Jennifer is always quick to respond and address whatever action is required. Kelly MacInnis has been incredible to work with. She guided me with answering all of my questions pertaining to submittal of my yard application. My first set of plans were denied, but Kelly sat down with me anytime I requested, researched all answers to my questions, and worked diligently with me to be sure my re-submittal of plans were approved. She was always quick to respond to any emails I sent and kept me updated throughout the entire submittal process. It is so refreshing to work with someone who actually does their job in a timely matter. I have been working with Kelli MacInnis and she was amazing! Quick to respond to every email I sent, efficient , she followed thru with everything she said she would , friendly and informative. Our experience was smooth which at first we didn't think it would be but Kelli made all the difference in the world! We appreciate the hard work.